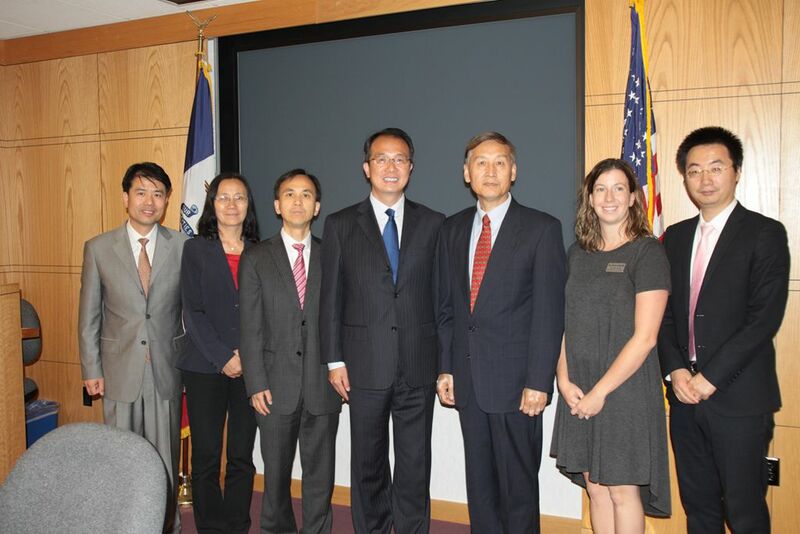 On September 21, Consul General Hong Lei met with Iowa Sister States President Will Zhang in Des Moines, the State Capital. Consul General Hong Lei said that Iowa Sister States has done a lot of work in promoting the sister state/province relationship between Iowa and Heibei Province, China and made important contribution to the development of this relationship. State-to-state relations ultimately rely on the support of the people. Without successful cooperation at the sub-national level, it would be very difficult to manage overall long-term bilateral relations. The Consulate General would like to maintain sound cooperation with Iowa Sister States. President Zhang introduced Iowa Sister States’ work and future plan for promoting the development of Iowa-China friendly relations. He said that Iowa Sister States will stay in touch with the Consulate General to jointly promote friendly exchanges and cooperation between Iowa and China.